Currently with sky unlimited, been tempted for awhile and have just ordered infinity with a new line. That is slower than normal ... I normally get 10ms average but someone seems to have pouted treacle over the internet tis morning. 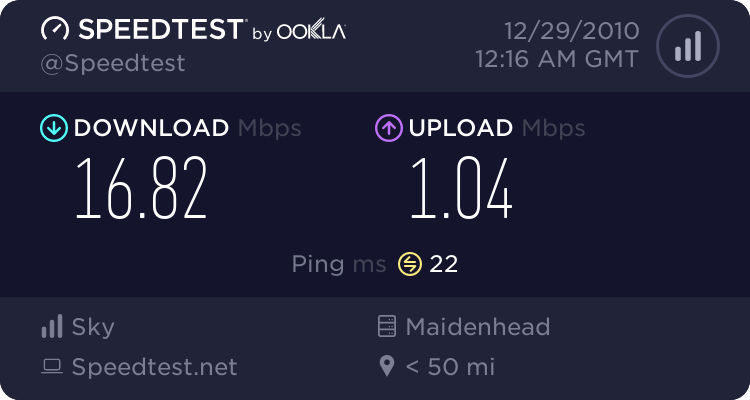 pings are usually <40ms to just about anything UK based. A lot of hops there but result not bad , is that ping with fastpath or interleaved ? As requested, here's a traceroute to bbc.co.uk. I've not tried this since getting infinity. Is it good, average or what? Hope it helps. Thanks everyone ill update once installed! Interleave is usually around 20-25ms. From very North West of Ireland..